While caring for an elderly loved one is something to be very proud of, it can leave carers emotionally and physically drained. During our respite care campaign, we speak to Alice, caregiver for her husband of 55 years, Brian. Alice talks candidly about how respite care for elderly people provided at Sanctuary Care’s homes across the country is vital to give carers the rest they need to keep going. It all started about 10 years ago when Brian started to come home with scratches on his car. Alice wondered where all the marks were coming from and would ask Brian, who would blame small parking spaces. In reality, it was Parkinson’s disease affecting his judgement and mobility. For the first nine years, the illness progressed slowly. However, in the last year it has accelerated and Brian’s health has deteriorated dramatically. Not only is Alice Brian’s caregiver, but she also visits her 99-year-old mother each morning, taking her a home-cooked meal. Brian’s condition is caused by a loss of nerve cells in part of the brain which has affected his movement, speech and balance. He can frequently fall and Alice is unable to get him up herself. For Alice, while caring for Brian is something she is completely dedicated to, it often leaves her feeling exhausted and emotionally very down. Just before Christmas 2018, she hit breaking point. For Alice, the hardest thing about her role as a caregiver is the loss of sleep and anxiety over what could happen next. For example, if Brian fell and hurt himself. She adds: “You just worry all the time and you don’t sleep as you are constantly listening out. It is not that you don’t love your husband, you are just trapped. 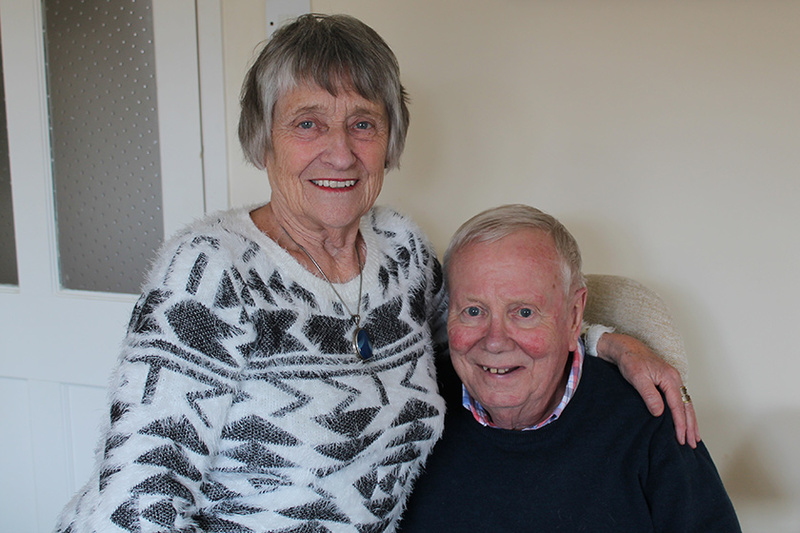 While carers visit the couple’s Malvern care home twice a day to give Alice any support she needs to care for Brian, a lifeline for Alice is undoubtedly the respite care Brian receives at Hastings Residential Care Home. Located in Malvern, Hastings care home provides Alice two weeks of precious time to recharge her batteries. These breaks are pre-booked over the course of the year. “Respite care is a blessing – If I didn’t have it I wouldn’t survive it is my saviour,” she adds. Talking about the respite care Hastings provides, Alice says for her it’s the peace of mind that Brian is being well cared for and feels so safe. When Alice talks about the benefits of respite care breaks for elderly people from a caregiver’s perspective, she says it is the feeling of total freedom. For Brian, he says going to Hastings is also a rest for him. “I quite enjoy it and I feel safe because it is 24-hour care. It is something to look forward to," he says. If you are affected by Parkinson’s, Parkinson’s UK is a charity which offers support and advice, as well as information about support groups in your area.